When pain strikes there is no time to wait for relief. Get fast pain relief at liquid speed with Advil Liqui-Gels. Advil Liqui-Gels provide fast relief of headaches, muscle aches, minor arthritis and other joint pain. Advil Liqui-Gels contains 200mg of Ibuprofen and is an effective fever reducer. The quick-acting medicine in Advil is engineered to relieve pain at the site of inflammation. With pain out of the picture, you can get on with your day. The medicine in Advil is the #1 doctor-recommended treatment for effective pain relief** and the #1-selling pain reliever among over-the-counter medications*. Be ready and face pain head-on by adding Advil Liqui-Gels to your shopping cart. 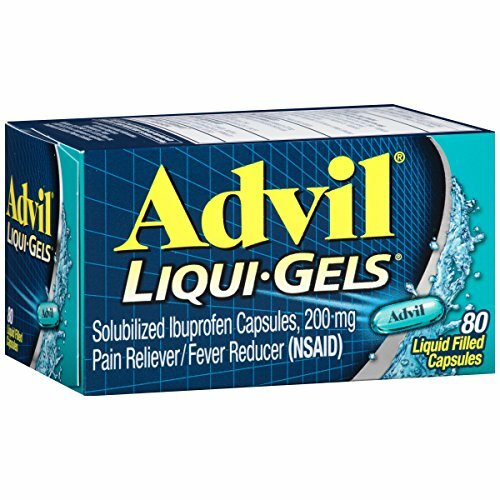 Advil Liqui-Gels provide liquid fast pain relief for headaches, back pain, and muscle pain.